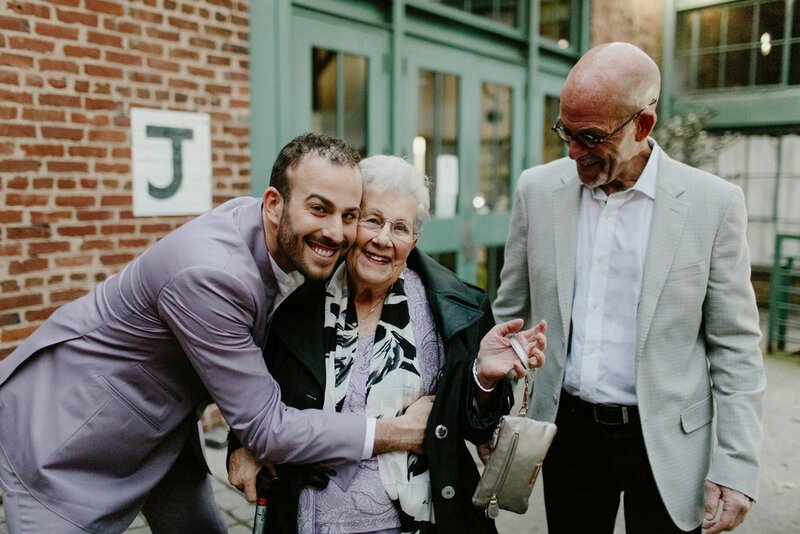 On our one year wedding anniversary (which was actually on November 18th), I wanted to share some of our favorite photos from the big weekend. The affair took place in Atlanta, GA with 200 friends and family. Our guests checked into the Loews Atlanta Hotel and were treated to a packed “Hotlanta” welcome bag stuffed with goodies from FIJI Water, Cookie Pop, Poo-pourri, Popchips, Urban Decay, BAI, St Ives and Kinder Joy. 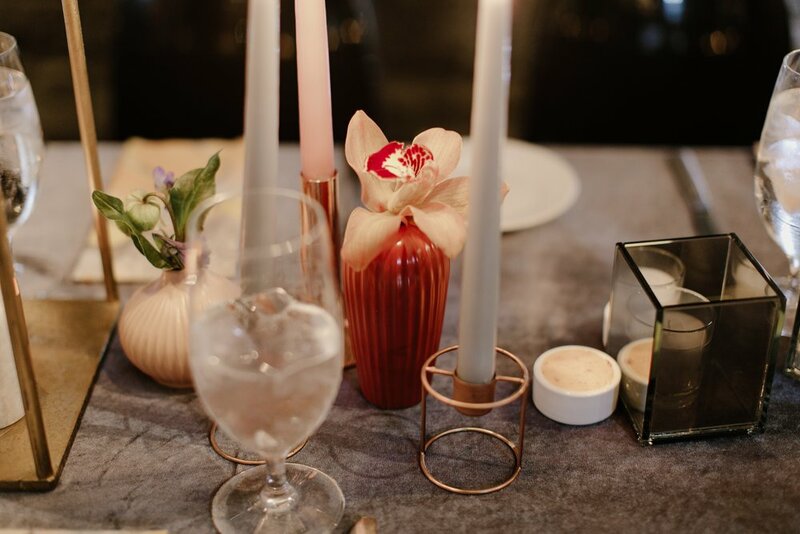 On Friday night, we kicked off the affair with an intimate welcome dinner for family at 10th & Piedmont, followed by drinks and a drag show at Blake’s on the Park. Custom cupcakes with our logo were generously sponsored by Georgetown Cupcake. Saturday started with a modified Rumble Boxing class in Piedmont Park led by founder Noah Neiman. 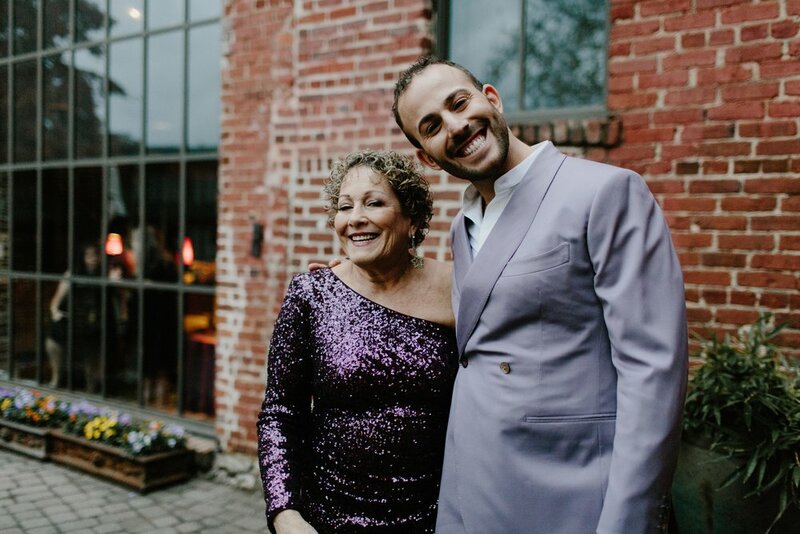 Then it was time for the Ketubah signing, ceremony, reception, and after party, which all took place at King Plow Arts Center and was planned impeccably by Amy Osaba Design. 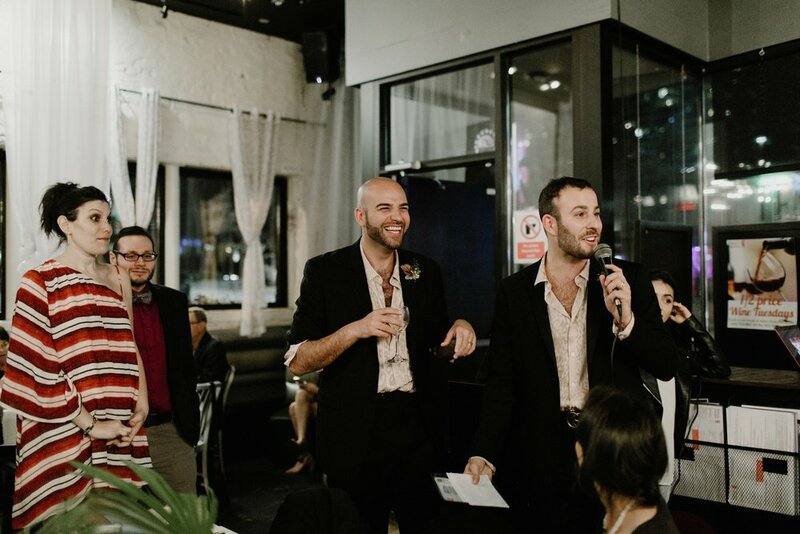 Our ceremony was officiated by Rabbi Malka Packer-Monroe with live music from an LGBTQ choir led by Dannis Winston of DWP Live Factory. It was a tear-jerker! 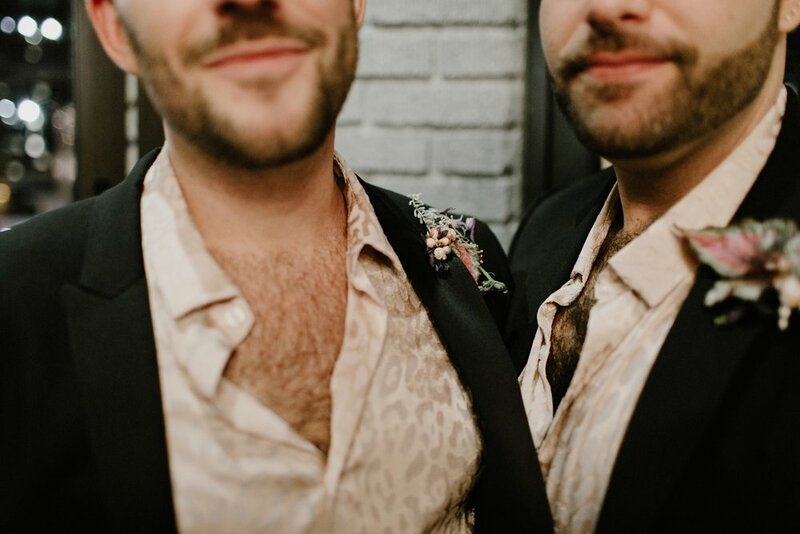 We both wore custom suits by Michael Andrews Bespoke. 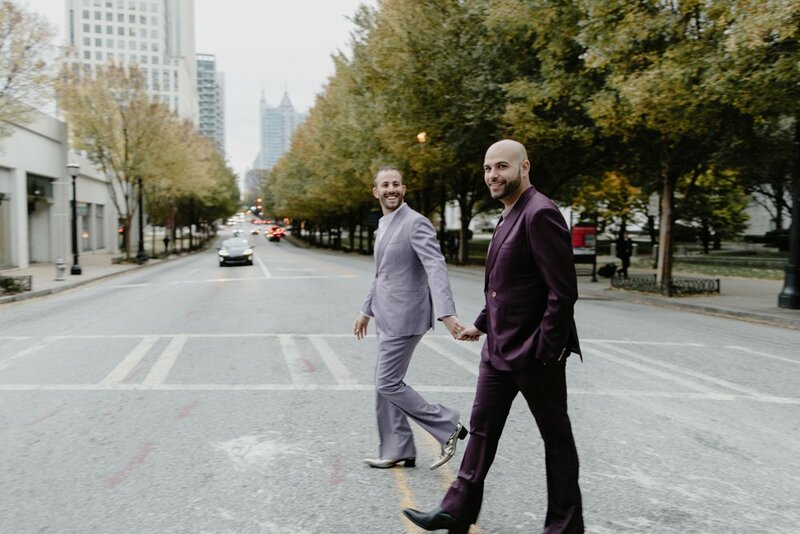 I paired my lavender suit with metallic silver boots from Jeffrey West and Jason paired his aubergine suit with black cowboy boots from Frye. The reception began with our first dance, instructed by the dance pros at Dance with Me Midtown and the party was kicked into full-swing with music by DJ Cassidy. An after party followed into the morning with a DJ and out-of-this-world pizza from Mellow Mushroom.